giving up a third-round selection in the 2017 draft and a conditional first-rounder. Tychonick, from Calgary, was the 12th overall selection in the 2015 WHL bantam draft. However, in late March he made a verbal commitment to attend the U of North Dakota starting in the fall of 2018. This season, he is with the BCHL’s Penticton Vees, and has seven points, two of them goals, in 14 games. “At this time, getting a guaranteed third-round pick for Jonathan was in the best interest of our club,” Colin Priestner, the Blades’ general manager, said in a news release. 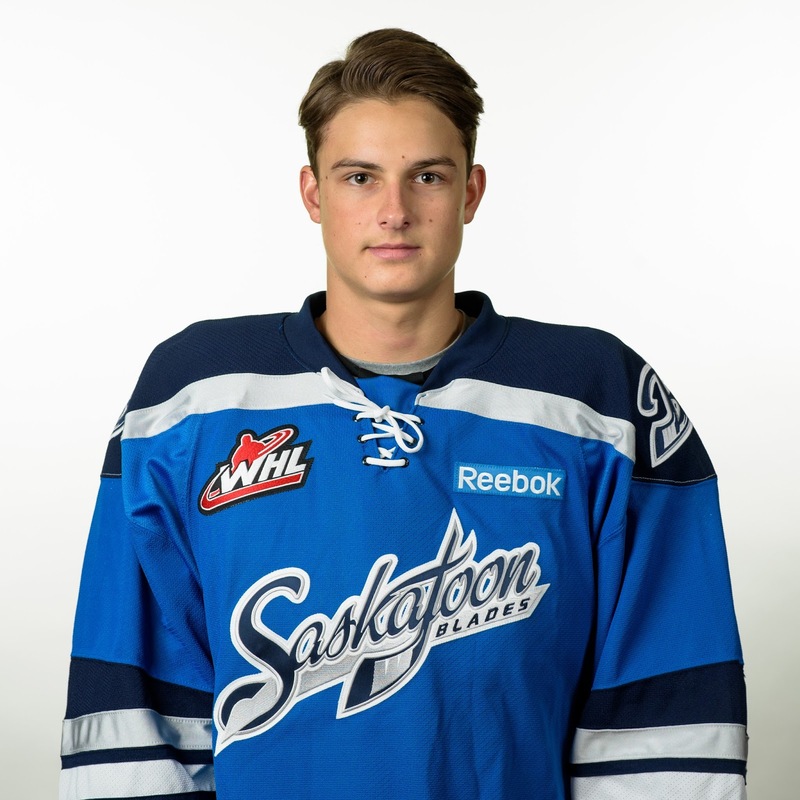 “We feel he belongs in the WHL one day and, if he is, his hometown team with a great organization like the Hitmen would give us the best odds of that happening. Tychonick played for Canada White at the just-completed U-17 World Hockey Challenge, putting up four assists in six games. In 2014-15, he had 58 points, including 20 goals, in 33 games with the Calgary Flames and was named the Alberta Major Bantam Hockey League’s most valuable player and top defenceman. Last season, he had five goals and 17 assists in 28 games with the midget AAA Calgary Flames. F Mathew Barzal was scratched again on Monday night as his New York Islanders played host to the Vancouver Canucks. Barzal, who is from Coquitlam, B.C., has played in just two of the Islanders’ first 13 games. Barzal, 19, was the 16th overall selection in the 2015 NHL draft. Because he is 19 and was drafted from major junior, he is eligible this season to play with the Islanders or the WHL’s Seattle Thunderbirds. . . . Barzal’s progress has been slowed at least a bit because he was fighting strep throat last week. 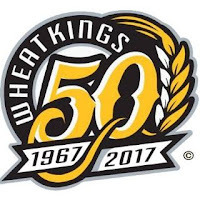 Grant Armstrong, the general manager of the Brandon Wheat Kings, says there isn’t a timetable for the return of F Nolan Patrick. . . . The 18-year-old Patrick, the consensus No. 1 pick for the 2017 NHL draft, has missed the Wheat Kings’ past 11 games. Before going out, he put up four goals and five assists in six games. . . . After being name the WHL’s playoff MVP last spring when the Wheat Kings won the Ed Chynoweth Cup, Patrick underwent sports hernia surgery in July. . . . “I’m not saying anything about the injury, other than that it’s upper body, day-to-day,” Armstrong told Steve Ewen of the Vancouver Province on Monday. “We’re not certain when we’re going to see him back in the lineup.” . . . Patrick had been named to the roster of the WHL team that opened a two-game series with a Russian side in Prince George on Monday night. However, he was dropped from the roster due to injury. . . . Now it’s a waiting game to see whether he will be invited to the Canadian national junior team’s selection camp. . . . Ewen’s story is right here. Hearing defenseman Tyler Brown has left the #WHLGiants, gm Glen Hanlon says no comment. According to a report, D Tyler Brown has left the Vancouver Giants. . . . Brown, 19, is from East Olympia, Wash. He was a fifth-round pick by the Moose Jaw Warriors in the 2012 bantam draft and is in his fourth WHL season. . . . The Giants acquired him from the Warriors at last season’s trade deadline. The Giants acquired Brown, D Marcus Kichton and a 2017 second-round bantam draft pick for D Josh Thrower and a fifth-round pick in the 2017 draft. . . . In 167 regular-season WHL games, the 6-foot-1, 195-pound Brown has three goals and 27 assists. This season, he has two assists in 16 games. At Prince George, F Denis Alexeyev scored 55 seconds into OT to give Team Russia a 3-2 victory over Team WHL in Game 1 of the CBC Canada-Russia series. . . . The play that led to the winner began with a faceoff in the Russian zone. Alexeyev took the draw, then picked up a loose puck along the boards and skated down the left wing and into the offensive zone. A right-hand shot, he fired a wrist shot from the top right of the face-off circle that appeared to glance off the stick of WHL D Cal Foote (Kelowna Rockets) before beating G Connor Ingram (Kamloops Blazers). . . . Alexeyev, 19, plays for HK Ryazan of the VHL, which is one level below the KHL. He has 10 points, six of them goals, in 20 games. . . . F Nikita Li gave Russia a 1-0 lead a 1:13 of the first period, with F Jansen Harkins, who plays for the Prince George Cougars, tying it at 9:48. . . . The Russians went back in front at 3:46 of the third period, on a goal by F Danila Kvartalnov. . . . F Sam Steel of the Regina Pats forced OT when he scored from a scramble at 9:34. . . . G Anton Krasotkin stopped 32 shots for the victory, while Ingram turned aside 18. . . . The WHL was 1-7 on the PP; Russia was 0-3. . . . Announced attendance: 5,802. . . . The series continues Tuesday night in Edmonton. POINTS: F Sam Steel, Regina, F Mason Shaw, Medicine Hat, each 28; F Kailer Yamamoto, Spokane, 26; F Chad Butcher, Medicine Hat, 25; F Cody Glass, Portland, each 25. GOALS: F Michael Rasmussen, Tri-City, 16; Steel, F Tyler Steenbergen, Swift Current, each 14; Yamamoto, F Zak Zborosky, Kootenay, each 13. ASSISTS: Shaw, 23; F Brayden Burke, Lethbridge, Butcher, Glass, each 18; D Chase Harrison, Regina, F Steve Owre, Medicine Hat, F Aleksi Heponiemi, Swift Current, each 16. VICTORIES: Nick Schneider, Medicine Hat, 11; Ty Edmonds, Prince George, Griffen Outhouse, Victoria, each 10; Carter Hart, Everett, Michael Herringer, Kelowna, each 9. GAA: Hart, 1.89; Connor Ingram, Kamloops, 2.01; Ty Edmonds, Prince George, 2.29; Logan Flodell, Saskatoon, 2.34; Cody Porter, Calgary, 2.46. SAVE %: Ingram, .937; Flodell, .932; Hart, .926; Edmonds, .921; Outhouse, Porter, Ian Scott, Prince Albert, each .920.